The Indiana native announced his commitment to join the RedHawks. 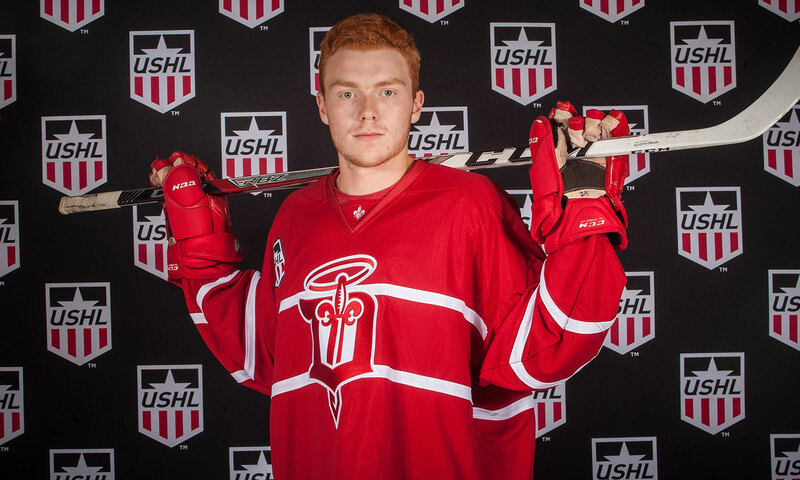 Dubuque Fighting Saints forward Scott Corbett has announced his commitment to suit up for the Miami University, beginning with the 2018–19 season. Corbett, in two seasons with the Saints, scored 8 goals and 23 assists in 81 games, and will look to make an immediate impact on the RedHawks. The Indiana native, and veteran of 186 junior hockey games, was originally acquired from the Coulee Region Chill on January 14, 2017. He proved to be a key cog on the 2016–17 club that made it to the Eastern Conference Final against the eventual Clark Cup champions, and a critical part of a line with Quinn Preston and Chayse Primeau. Corbett routinely played in all situations, including key minutes at even strength, on the power play and on the penalty kill. “Scott is deserving of this opportunity. He was a major contributor to our team last season, from helping build our culture, to competing in training and games, he proved his worth consistently,” said Fighting Saints head coach Oliver David. “We are excited for him to take his skills to school and make an immediate impact at Miami.